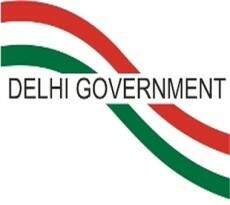 New Delhi: The Delhi government said that it has decided to waive user charges at all government hospitals from February 1 and would make available medicines and diagnostic tests free of cost, using the money “saved” from three flyover projects. Chief Minister Arvind Kejriwal made the announcement at the inauguration of an elevated corridor between Mangolpuri to Madhuban Chowk at Outer Ring Road, which he said was built at the cost of Rs 300 crore, “well below the sanctioned cost of Rs 450 crore”. He also thanked former Chief Minister Sheila Dikshit for commissioning the project. Kejriwal said that the decision to provide the services free of cost has been made possible by efficiency of the city’s Public Works Department (PWD), headed by Home Minister Satyender Jain, which he claimed “has saved Rs 350 crore” in construction of the three flyovers. “Jain and I had estimated that if we want to provide facilities such as x-ray, ultrasound, blood tests and medicines for free in government hospitals we would have to set aside around Rs 350 crore. Now the money saved in building the elevated corridors will be used for this purpose which is your right,” Kejriwal said. Delhi government runs around 38 hospitals across the metropolis. Hailing the “wondrous feat” of PWD engineers, the CM listed constructions of the Azadpur-Prembari Pul elevated corridor, Mangolpuri to Madhuban Chowk and the soon-to-be launched Mukarba-Madhuban chowk corridors, which he said were built under their sactioned costs. “No user charges in Delhi govt hospitals from Feb 1. All medicines prescribed by hospital docs to be provided free. Total Rs 350 cr saved in construction of 3 flyovers by PWD. This money to be used in providing free medicines and tests in all Delhi govt hospitals,” he later tweeted. Jain, who holds the Health portfolio as well, said government managed to save money by constructing the projects “well within the deadline” as they were constantly monitored by the chief minister. Kejriwal said the PWD’s sucess negates the “perception” that the said department is a “den of corruption” and added that it would soon emerge as the “best” engineerig department in the entire country.